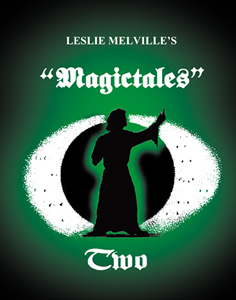 Thank you for purchasing Magictales Two. This is a supplementary page, adding further thoughts and ideas that have occurred to me since the book's publication; for instance, with regard to 'The Florence Cooke Seance', where I suggested that an 1888 English Penny could be used as the marker, I have since been able to find a suitable coin of the period (minted in 1887) that has a small hole punched through the centre. This discovery has evolved into 'The Elizabeth Stride Penny' and should enable you to add further dramatic effect to the presentation. You will find the story below. This page is also here for You to share your ideas and suggestions to further improve the material that appears in the book. This is a Victorian penny; it is dated 1887 and was in circulation at the time of the Whitechapel murders. You will notice that there is a small hole punched through the centre. I bought it last year from a second hand dealer in London's Covent Garden Market and he told me that the coin has an interesting history. In 1888 Richard Dipple was the landlord of the Queen's Head public house on the corner of Commercial Street and Fashion Street in the East End's Spitalfields. Dipple claimed that this coin was one of four handed to him by Elizabeth Stride on the early evening of September 29th. Most customers paid for their drinks with silver coins or banknotes and it was usually only prostitutes and down and outs who traded in copper coins. He hadn't cashed up his takings from the night before when on the following day, he heard about Stride's murder. There were only four pennies in his cash till and he realised that the coins must have been given to him by Stride. He nailed the four to the counter of his bar as souvenirs and they became a novel talking point for his customers. The coins were said to have remained nailed to the counter until 1927 when the Queen's Head ceased trading as a public house and became a confectioners. The building still stands at 74 Commercial Street, but is currently vacant. So if my market trader is to be believed, this coin was actually handled by Elizabeth Stride only hours before she was savagely murdered by the infamous Jack the Ripper! I was fortunate in finding my Victorian penny in a mixed box of old coins at an antiques fair. There were several with holes punched into the centre and it was this feature that gave me the idea for the above story. Old English pennies are fairly commonplace so it shouldn't be too difficult to find them on-line. Use a centre-punch rather than a drill to create the hole. Electric drills weren't about in the eighteen-eighties and a punched hole gives the tale additional credibility. A further thought with regard to the same presentation is that although we have provided in the Appendix templates for printing the 'victim' name cards, it has since occurred to me that blank pieces of card or paper, about the same size and with the names hand written would be more convincing. Having cards that have been specially printed is likely to make the seance look more like a 'trick' - and we don't want that - do we?! Decorative Bookplates (Magictales Two artwork compatible) are now available. Anyone wishing to receive a signed bookplate is invited to send me their postal address and I will post one to you by return. In the UK a stamped & addressed envelope (not smaller than 8" x 4" or 22cm x 11cm) would be appreciated. In the case of those living outside the UK I would be grateful for a PayPal payment of £2.00 (just to cover postage) to Magictales@thestorytelling-resource-centre.com. When asking, please say if you wish your name to be included - i.e. 'To George' etc. He tells me that you will need the book in hand when you access this information in order to decipher the username and password! All very cloak & dagger! Walt Anthony writes to tell me he has devised an original 'Kismet' plot! He hasn't written the story yet but it appears to be a pretty gruesome adult concept - (with scope for nervous laughter!). As I have repeatedly said, this principle is so versatile that you really are limited only by your own imagination! Thanks Walt - I await with interest to see the final manifestation! MAGICTALES TWO - a review! Jeff of course was kind enough to write the Foreword, but that was based upon his reading of the loose page manuscript. He has now received a copy of the published work and it is the finished book that he will be reviewing.